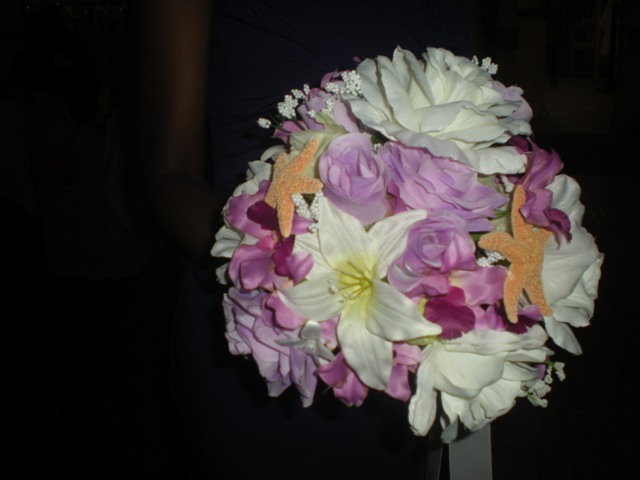 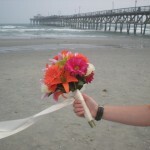 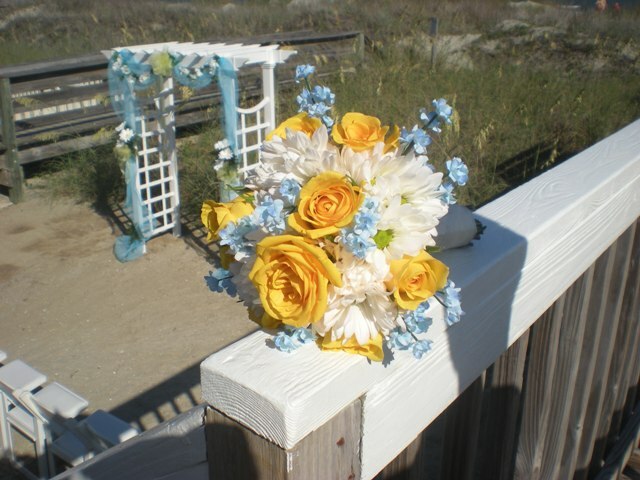 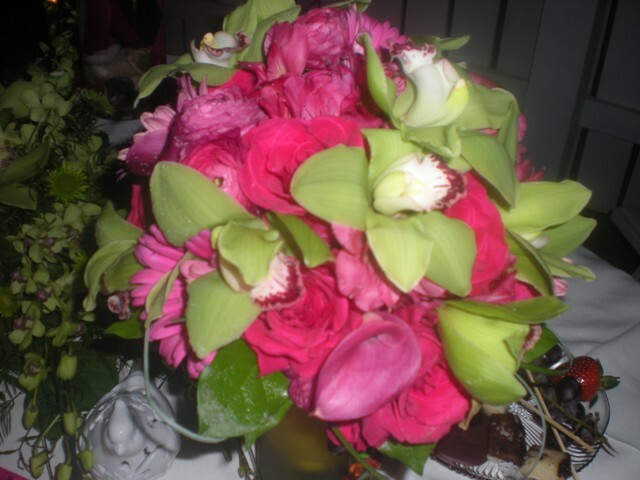 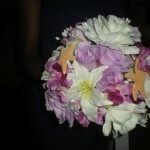 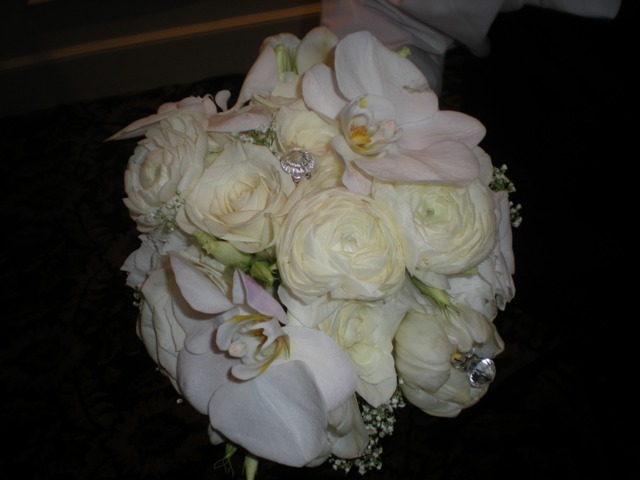 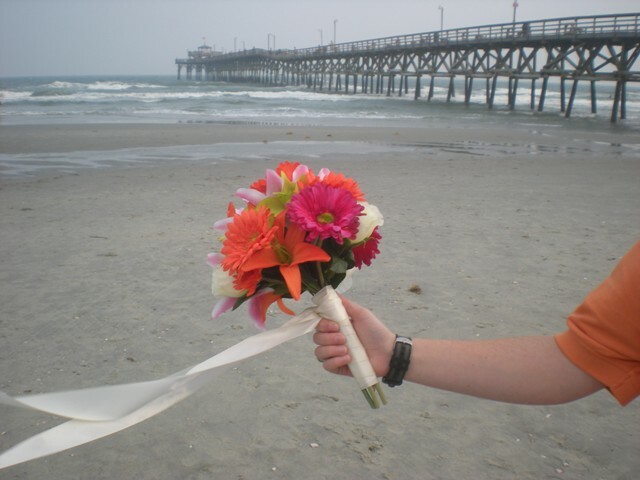 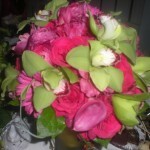 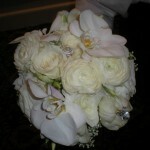 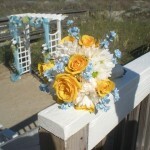 The bride’s and bridesmaid’s bouquet should compliment the color theme of the wedding. 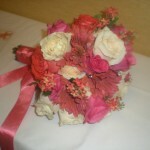 They can be designed with all live flowers or a combination of live and silk. 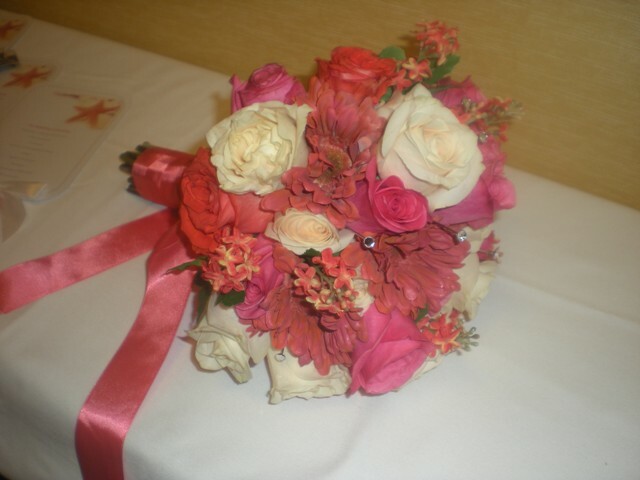 If there is a certain look you just love, but the flower is very pricey, you may consider working a silk flower into the design of the bouquet. 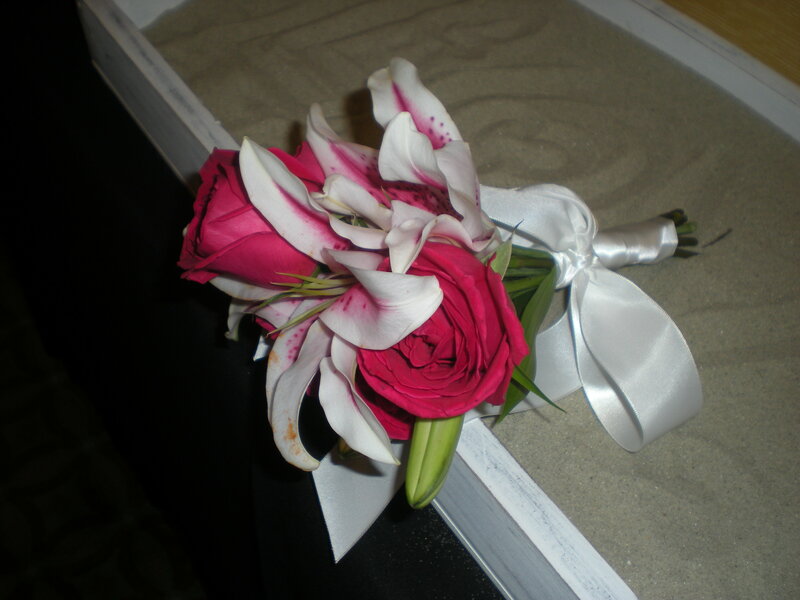 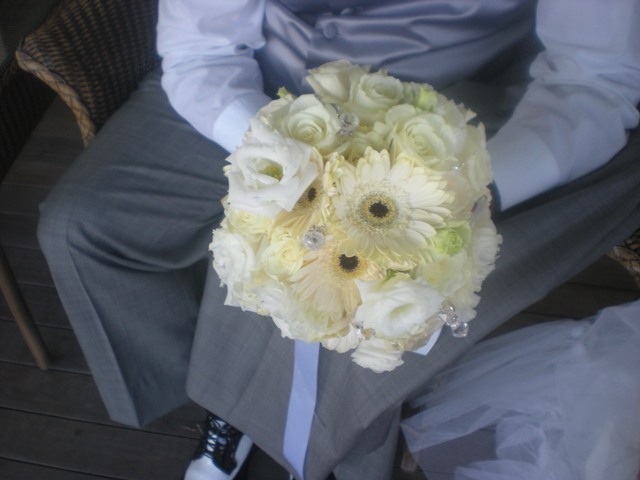 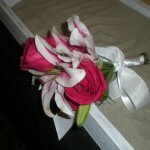 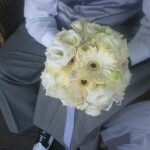 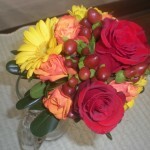 The floral designer can advise you about which flowers hold up in the heat and which ones do not hold up well.